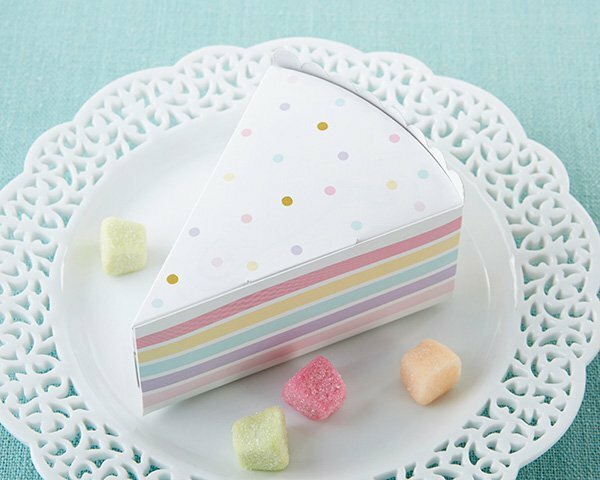 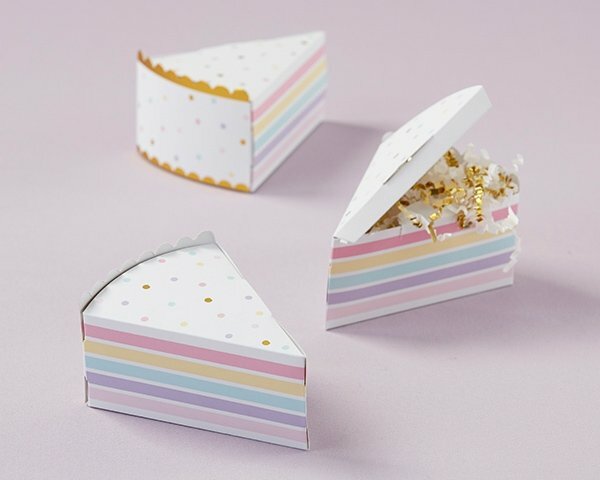 Presenting guest favors is a piece of cake with Kate Aspen's Cake Slice Favor Boxes. 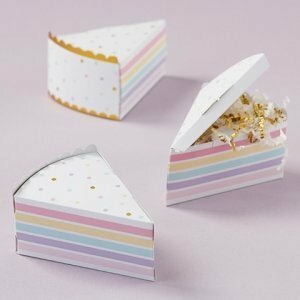 Available in sets of 12, each favor box is shaped like a slice of cake with a white "icing" top and side, accented by fuchsia, yellow, turquoise, purple and pink dots, as well as matching layers and gold scalloped edges. 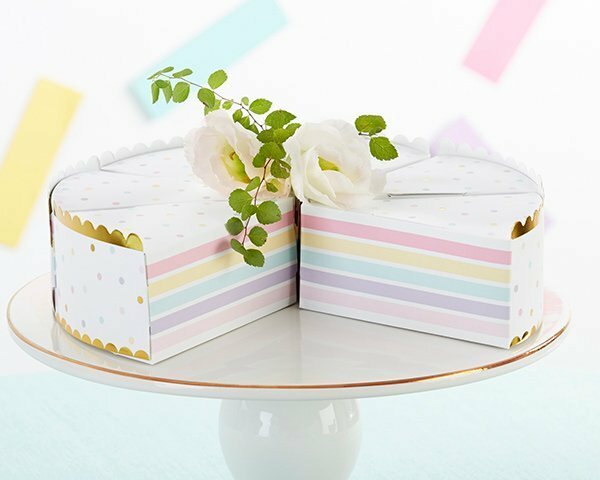 For an added touch of whimsy to your baby shower or birthday party decor, arrange slices into a favor cake, where guests can take a slice as they are leaving the celebration.